My job as a level 1 BPAD Accredited Bushfire Assessor has taken me to some interesting and sometimes quite remote places in Western Australia. From as far south as Denmark and Augusta in the South West to as far north as Geraldton with the Wheat belt and Perth Metropolitan area in between. Recently I was given the opportunity to travel to Warburton and surrounding areas to conduct 11 Bushfire Attack Level (BAL) site inspections for new housing that has been proposed to be constructed. I had never been this far inland before, so not only was it a new challenge from a work perspective, not knowing what to fully expect in terms of vegetation and topography, but an opportunity to see parts of Western Australia that not many of us get to see. Needless to say, I didn’t hesitate to say “yes”. My journey started with an early flight from Perth to Kalgoorlie to meet with our client as they were to be my guide for the coming days. 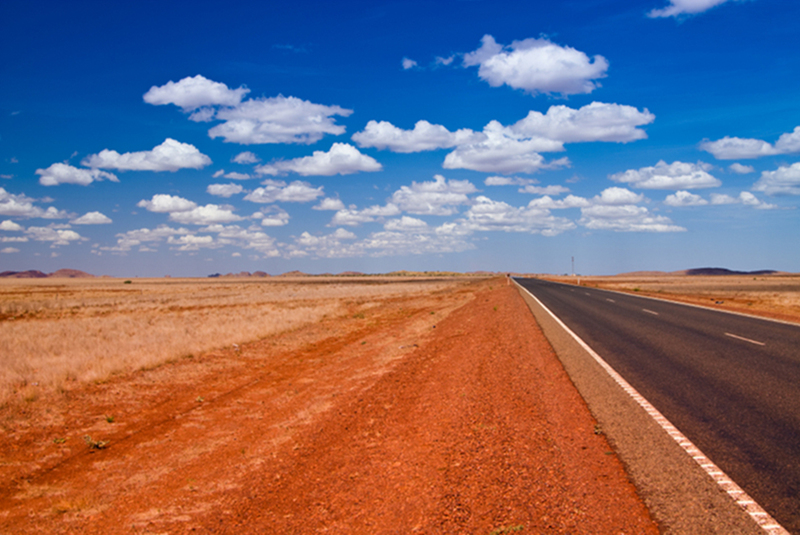 The first real challenge was the drive from Kalgoorlie to Warburton. I’ve driven some long distances in my career, but 900km’s in one day is no small feat by any means. Reality finally struck me as we left Leonora (one of our stops). This was the last real sign of civilisation and bitumen road for hundreds of kilometres to come. There was little to no phone reception. I would consider this possibly one of the best ways to social media detox. Cold turkey almost. I think if you were desperate enough, you would need to do more than just play antenna in order to get reception. Throughout the long drive, the roads were red, dry and dusty. The landscape was very flat and also very dry. We had to take a detour of about 10-20km’s as remnants of Cyclone Marcus some weeks earlier had dumped a significant amount of rain to the point where the road was washed out and just too soft to drive on. It was about 4-4:30pm by the time we made it to Warburton. It’s amazing how exhausted you can become when you’re sitting in a car for nine hours. It wasn’t too long after that, that I was out for the count for the night. The following morning we made an early start on the Bushfire Attack Level (BAL) site inspections. The one thing I noticed was just how dry the heat was out there. It was a very different type of heat than what we’re used to back home in Perth. The day before the temperature peaked at 39 degrees in Warburton. Had this been the case back home in Perth, mix some humidity in there and we’re just about dying. In saying this, the dry heat doesn’t make it any less dangerous. If you don’t have adequate water supply, you’re risking heat exhaustion and or heat stroke. We managed to get 10 out of the 11 site inspections completed. Each destination where the various housing sites were located were at least 100km’s plus worth of driving to get to, give or take. This made for another rather epic day. The one thing I hadn’t noticed until our client mentioned it, was just how close we got to the Western Australian border on that day. It was within 50-100km’s. On the third day we only had one Bushfire site inspection to conduct. It was after that, that I was treated to an experience that I won’t forget in a hurry. Our client took me to General Surveyors Corner. This place marks the point in Australia where WA/SA and NT meet. I can officially say that I have stood in three states/territories at the same time. And being the nerd I am, I couldn’t wipe the smile off my face for the rest of the day. I couldn’t leave without signing the guest book. What makes this experience even more awesome is the fact that not many people have experienced this. On our way back to Warburton after yet another epic day, one of our back tyres blew out. I’ve experienced flat tyres before, but not a blowout. There was nothing left of the tyre itself. All that remained was the rim of the wheel. Good thing our client was prepared with three spare tyres. With three of us present, it only took about 15 minutes to get back on the road. The one thing I noticed while we were changing the tyre was just how much heat was radiating off the ground. I’d say standing there for the 15 mins was probably the equivalent of about 5-10 minutes in a sauna. We had to use a blanket to lift the busted wheel onto the rack because it was just so hot. Despite the setback of changing the tyre and getting covered in red dirt, I’d say it was very much a day of adventures and one I won’t forget any time soon. The last day was the long 900km drive back to Kalgoorlie and civilisation before the flight back to Perth that night. Throughout the whole experience of the trip, I got to see camels, massive wedge tailed eagles and even a wild cow all mixed in with a very flat and dry landscape filled with the vibrant colours of the red dirt, the blue sky and the yellows and greens of the vegetation in between. I was literally in the middle of nowhere. After three days of driving on dirt road, the sound when on bitumen felt rather foreign. Despite being absolutely exhausted, I had an amazing experience. To get to see parts of Western Australia while working in a job and career that I love, what more could you ask for..? This experience is something that I won’t forget any time soon and for that I would like to say a special thank you to our client for being my guide and treating me to the awesome adventure out to the Western Australian Border. I would also like to thank my employers at WABCA Group for giving me the opportunity to go on this trip.